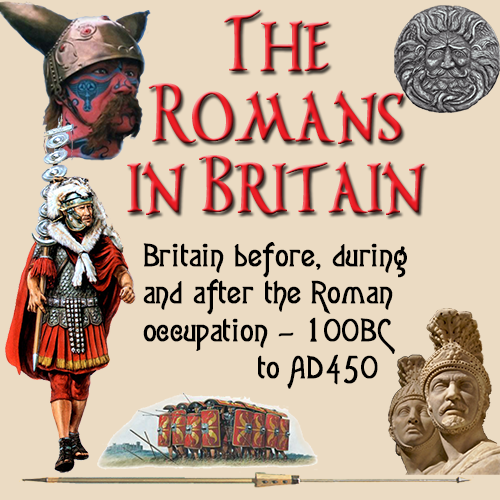 This area of The Romans in Britain website covers Roman crafts (only a few right now) such as pottery and silverware making. Look for more to come, such as weaving, mosaics, and other kinds of skilled crafts. By the 1st Century AD, Roman territories expanded from Britain in the north to Egypt in the south. 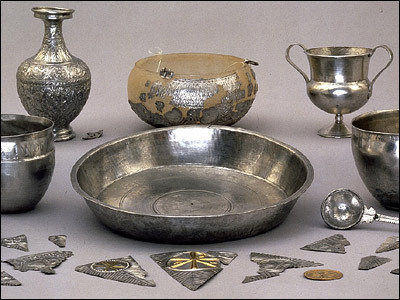 Much of the Roman culture and crafts reflected the preceding Hellenistic period; however, their extensive trade network provded them with a great variety of materials. Artisans often combined styles and materials creating their own unique designs. Terracotta (baked clay) pottery was made and used throughout the middle east and was produced in the earliest settlements along the Fertile Crescent where the clay was abundant and varied in color. The early potters had ample resources with which to experiment, create and develop their styles. The pottery was made as a fairly course, porous clay that when fired, assumes a color ranging from dull ochre to red and was usually left unglazed. Most terracotta pottery has been utilitarian because of its cheapness, versatility and durability. As technique and firing methods improved, a great variety of shapes evolved. The most widely utilized pottery in the Ancient World was oil lamp, bottles, unguentariums, pitchers, bowls and plates, their basic shapes remaining unchanged for over a thousand years and still being used in today's modern world. 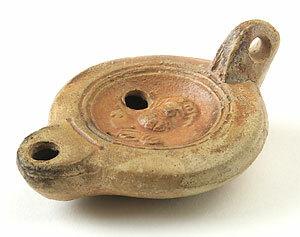 The oil lamp was the source of light in every household, the bottles and pitchers were used to store wine, water and other liquids, the unguentarium held oils, spices, unguents and balm and the bowls and plates were used to eat from and hold food stuffs. The amphora, classic in shape, was used for storage and shipping in the ancient world and was meant for household use and to hold wine, oil, spice or unguents. The "Bronze Age" is not a particular period of time. It's a period of time where bronze was the main metal used, due to bronze being easily worked. Some areas had a "bronze age" early, other had it late and still others skipped a bronze age altogether. The primary function of any metal industry in antiquity was the production of weapons and tools. A spear point, also known as spearhead, was ranked as the chief weapon used in the battle of ancient Asia and Europe. The famous Greek poet, Homer, tells how Achilles speared Hector through the neck wit a pole heavy with bronze. Spear points have played an important part in history and have changed as men have learned to make them of new material. Metal working was an "art" and soon became more specialized with some craftsmen making weapons, while others became artisans in metals such as silver? ? making jewlery or decorated feastware, such as cups, plates, etc.